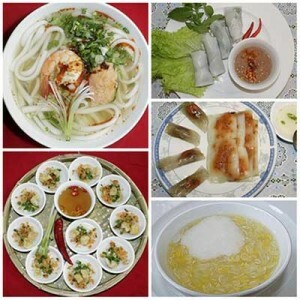 In the framework of the Festival Hue 2014, Thua Thien Hue’s Department of Culture, Sports and Tourism will coordinate with VNAT and Thua Thien Hue Hotel Association to organize “Hue International Food Festival 2014”. The festival will take place from 15 to 19 April 2014 at Phu Xuan Park, Hue City. This event aims to honor and promote the unique, typical cuisine of Viet Nam, especial in Hue and attending countries to domestic and international visitors and contribute to boost up the relationship and friendship between Viet Nam and countries in the region and in the world. The festival will be organized on the scale with more than 100 booths, of which there are over 20 international booths and many booths of Viet Nam’s famous restaurants and food areas. The highlight of the festival is to introduce 10 Vietnamese dishes which have been recognized by Asian Record Organization. The Hue International Food Festival 2014 is hoped to be one of the important highlights of Festival Hue 2014. Visitors will have a chance to explore and enjoy a lot of art and cultural programs and taste typical cuisine of Viet Nam as well as other countries in the world.